Developed under the guidance of Academic S.N. Fedorov. The perforation training glasses successfully passed clinical tests and State Registration; they are certified and are protected from commercial counterfeiting by the patent of RF, by the on-lens stickers with the registered trade mark, the custom-made package, and the booklet. 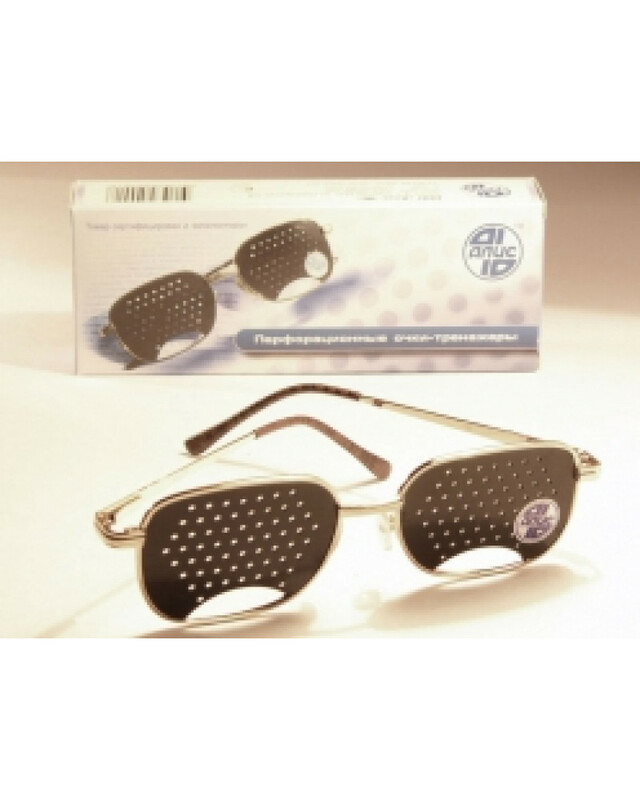 The perforation training glasses by Fedorov are created for people of all ages who experience intensive visual loads. They are also used at myopia and hyperopia, and as preventive glasses at normal sight. Organistic diseases of the visual organ (opacity of translucent mediums, changes on the eye ground, disturbance of the ophthalmotonous pressure, etc). The weak acuity of vision may be intensified (corrected) with diopter glasses. However, if the vision decline is connected with functional defects, such correction may be harmful and even prevent turning inversive defects into irreversible. Visual functions may be recovered in other way: to provide comfort conditions of visual work, to eliminate the impact of harmful factors, and to start using perforation training glasses. At excessive eye fatigue for children and adults and at neuroticism the glasses are used for 20-30 minutes in the rest-favoring conditions. Researches showed that if one looks through non-transparent lenses with hexagonally located holes of 1-2 mm in diameter, the light falls through the central optical axis on the retina mainly from the object in sight. Due to the diaphragming of the light flux with such small holes, the focusing depth on the retina increases. As a result, the eye sees a more sharp image. In fact, when a person with myopia or hyperopia looks on some object through the holes of the glasses, the image of it is doubled but sharp, not blurred (like without glasses). The optical system of the eyes detects this discomfort and transmits the impulses into the brain. As a result, the ciliary muscles change the bending of the eye-lens in such a way that the doubled image becomes sharp. This training effect does not let eye muscles mummy, slows down the process of eye-lens compliance loss, and improves the metabolism in the eye tissues, thus preventing cataract and other visual organ diseases. This is because we recommend using these glasses for both visually impaired people and for those who experience intensive visual loads. At first it is hard to get accustomed to the perforated image. Watch TV in these glasses, read a magazine, look around the room - without accentuating on the holes. In 2-3 days you will make sure that your sight is almost the same in them as in your diopter glasses. Now you may start doing exercises. It is better to do the exercises in broad daylight. Relax your eyes closing them for 7-20 seconds. It is better to do it after each next exercise. Look into the distance for 2-3 seconds, then for 4-5 seconds. Then shift your glance to the fingertip located vertically at the distance of 25-30 cm from your face, and put your hand down. Do it up to 10 times. Shut your eyes tight and then open them (8-10 times). Make rotatory motions in both directions (6-8 times). Look onto the pencil tip approaching it to your nose (6-8 times). Stretch your hand, look onto the fingertip located vertically in front of your face. Slowly approach your finger and look at it until it starts appearing double. Do the exercise 6-8 times. 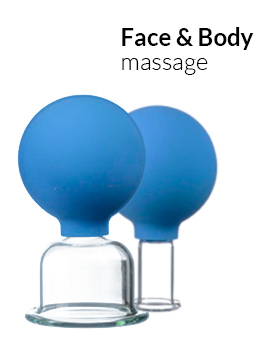 Look onto your fingertip located at the distance of 25-30 cm from your face during 5-7 seconds. Close your left eye with your left palm for 3-5 seconds, then look with both eyes for 3-5 seconds. Do the same for the right eye (4-5 times for each eye). Slowly move your palm in front of your eyes in the left and right direction. Do not move your head. Do the exercise 8-10 times. Stand by the window at the distance of 30-35 cm from the glass. Make a mark 2-3 mm in diameter on the glass. Look at it for 3-5 seconds, then look into the distance (a building, a tree) for 6-10 seconds; examine the details of the objects. During 3-4 days the time spent on this exercise should be 5-7 minutes. Take your training glasses off and wink quickly during one minute. Close your eyes and massage your eyelids with your fingers during one minute. This encourages blood circulation. Attention: do not wear the training glasses when driving or walking along the street. The hole ("window") in the lower part of the lenses provides illumination of the eye ball with diffused light, which improves circulatory dynamics in the eye without increasing the light diffusion on the pupil. Besides, the "window" provides short-sighted patients with the possibility to see objects close without taking the glasses off.